Cheesecake with brownie base - Eco? Bio? Freak! 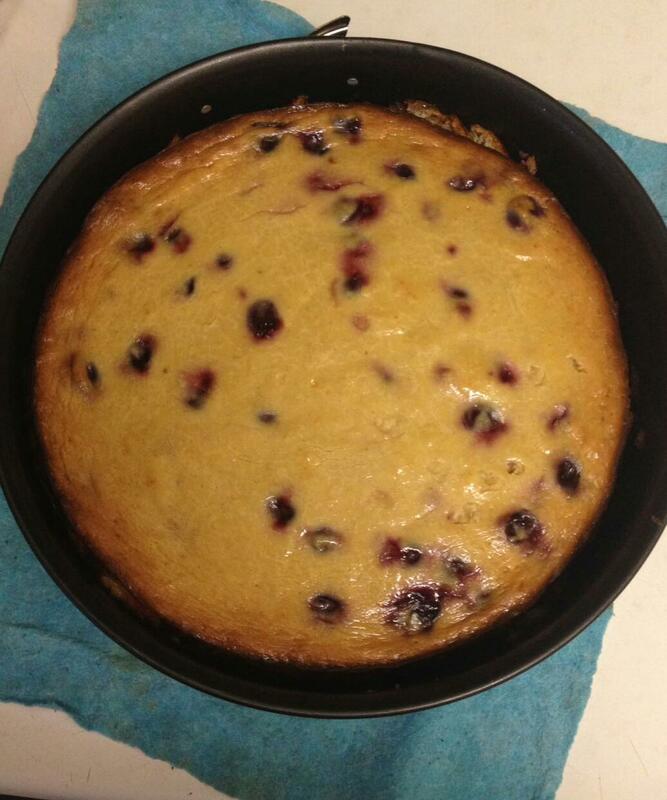 This is my most favorite Cheese cake, not only because it tates delicious, but because it’s so nice to bake. 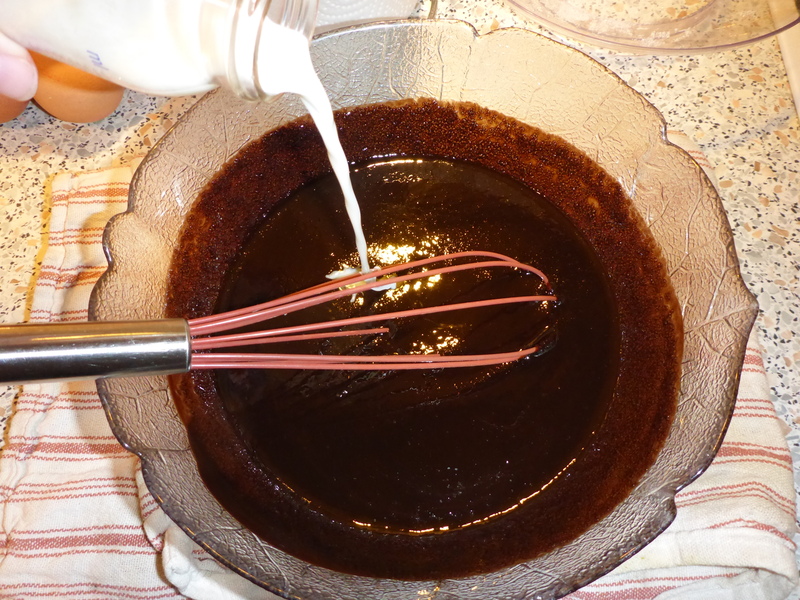 Melt together butter and chocolate in a water bath. Take the bowl off the pot, add the milk and let cool down for 5-10 minutes. 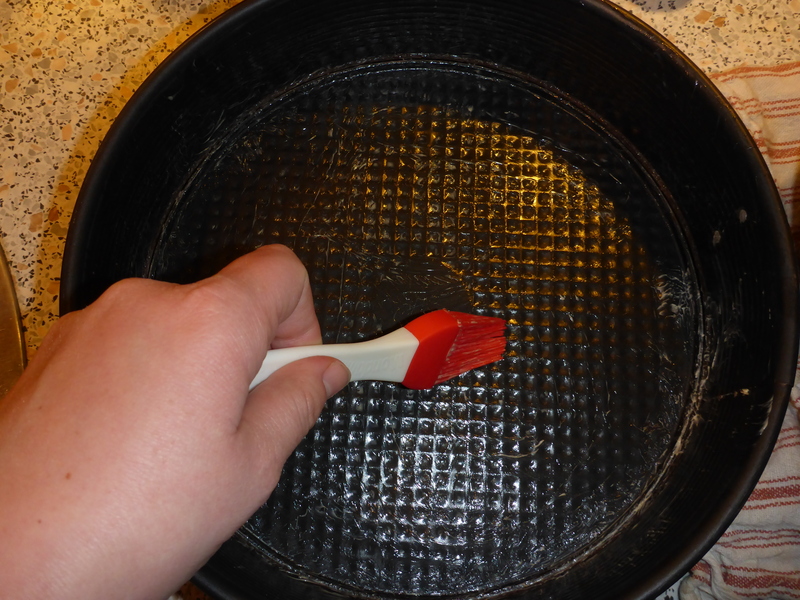 Preheat the oven to 180°C crculation air(200°C top and bottom heat). 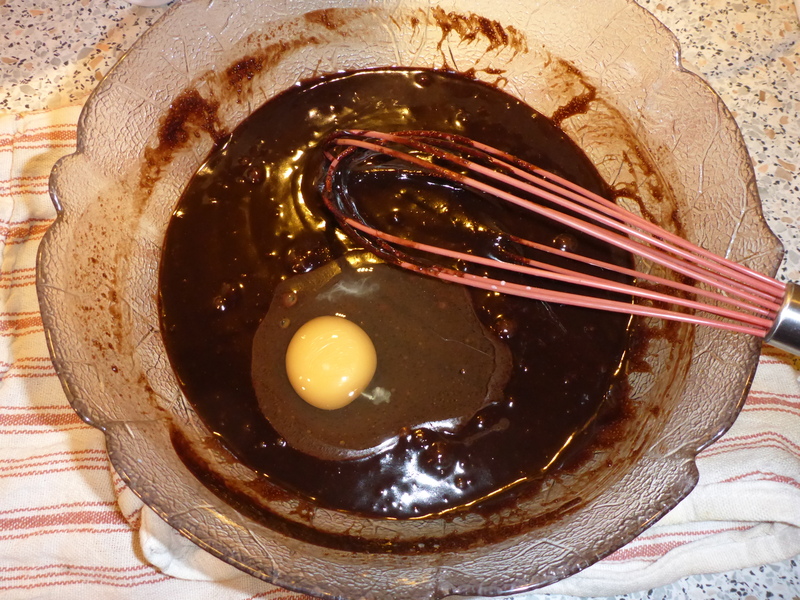 Add eggs to the chocolate mixture. 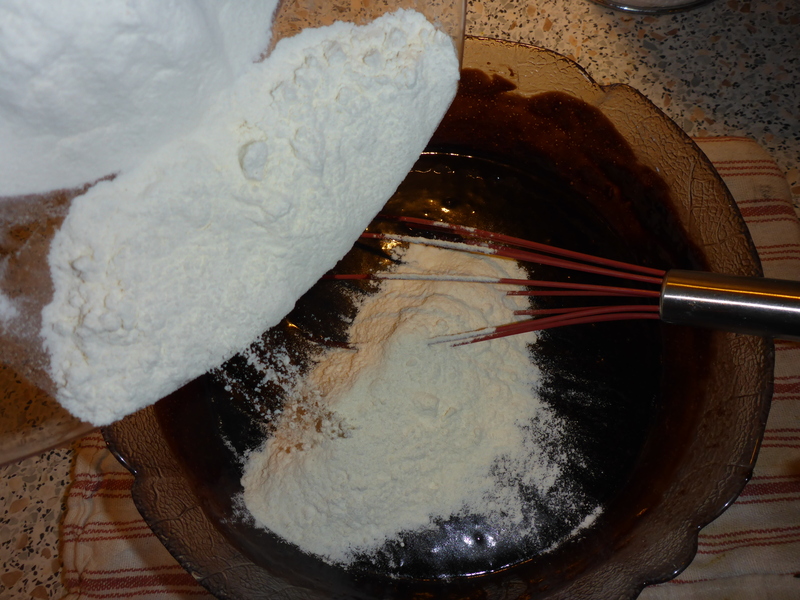 and slowly give in the flour. 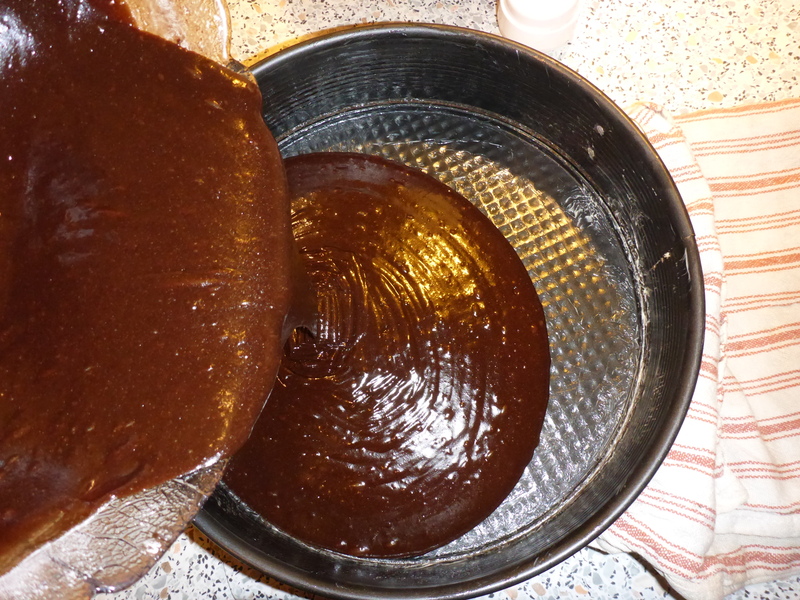 Add the brownie mixture and bake for 25 minutes at the preheated temperature. 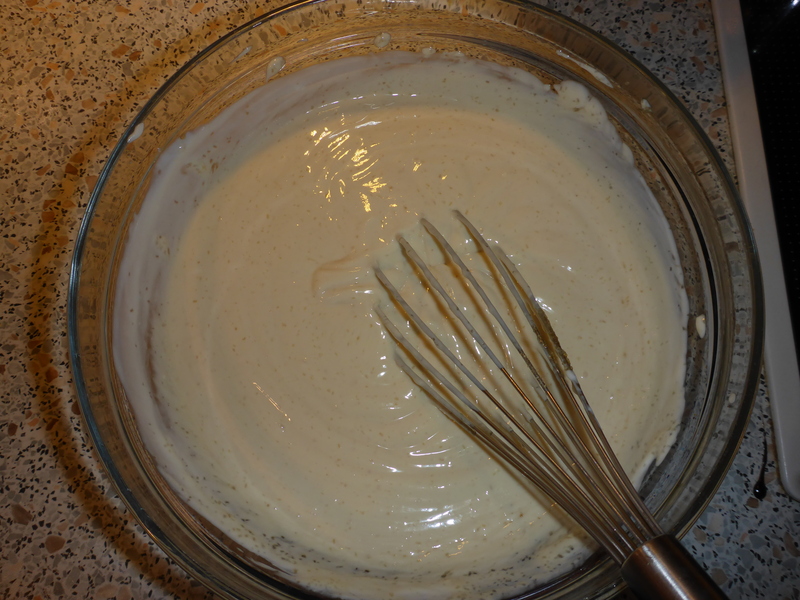 In the meantime stir togehter the ingredients for the cheese cake layer. You can substitude the vanilla pod by vanilla extract but it’s not even half as tasty. 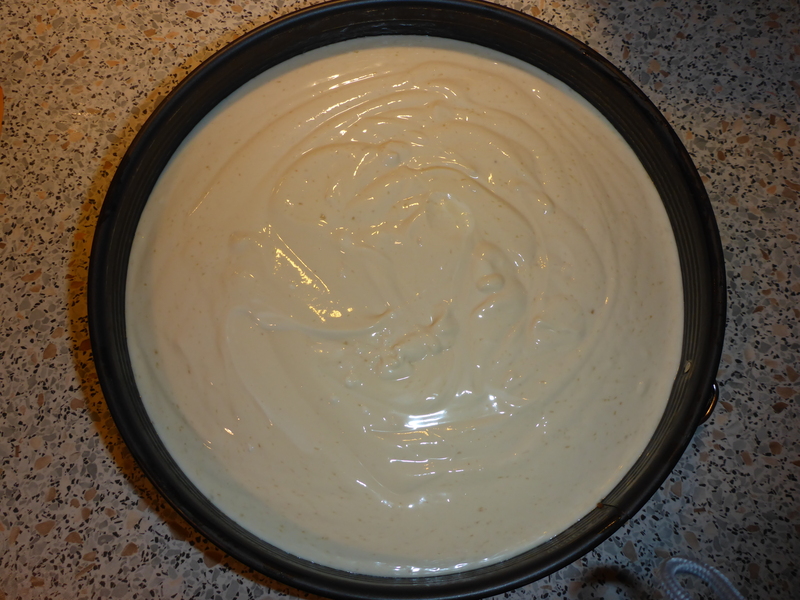 To add the optionally friuts gently fold it in the cheesecake layer mixture. and bake it at 160°C for around 45-55 minutes. Do you want to serve the cheese cake warm? just substitude the plain yoghurt by cream cheese, it will be stiffer. Otherwise let it cool in your fridge over night, minimum 4h, but make sure before you put it in your fridge, that it’s almost room temperature, your fridge, all your food, your electricity bill and the envirionment will thank you! Enjoy this awesome cheese cake! Previous Post: Happiness multiplies if you share it!…?